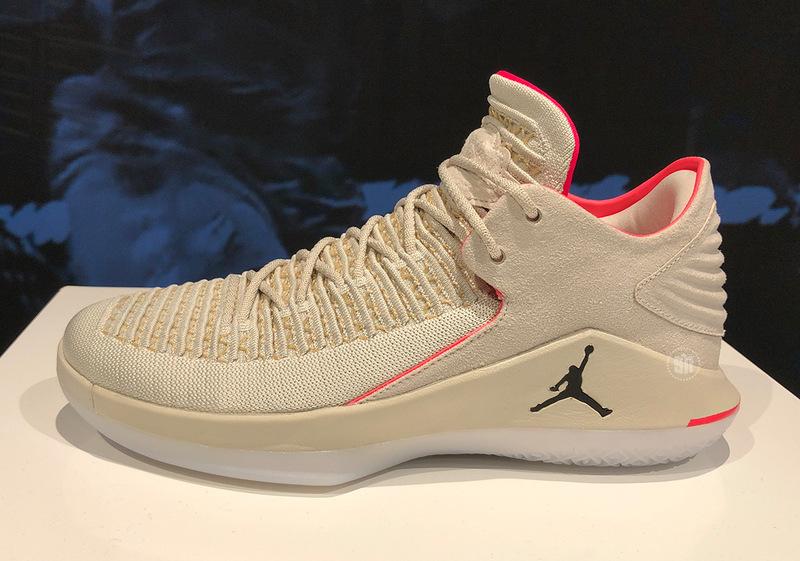 Another day, another Air Jordan 32 offering that pays tribute to something significant in Michael Jordan’s life. This time around, the Jumpman outfitted this 32 Low in tan with quick hits of red on its piping and a suede overlay for an extra premium touch. Embroidered on the inside of the tongue, is a street sign that reads “Gordon St.” – the road that MJ’s childhood home was on in Wilmington, North Carolina. Jordan’s origins are an important part of his legacy, as him growing up in North Carolina factored into his college decision which helped him become one of the greatest basketball players of all time. Fans of this clean look can set their sights on May 7th, when this tributary offering is scheduled to arrive at Jordan Brand retailers.